ePassport issuance cranks up in U.S. In spite of a summer of criticism that included a prominent researcher’s much-talked-about EU e-passport cloning demo, the U.S. State Department issued the first e-Passports and e-Passport readers. Production began in late August at the Colorado Passport Agency and will expand to 17 other passport-issuing facilities throughout the United States in coming months. And by the looks of things, most in the high-tech industry say it’s a case of so-far, so-good. Pilot testing concluded in April 2006 and the bulk of this year was spent preparing for issuance. In 2005, more than 10 million passports were issued in the U.S. so this preparation is no small task. A randomized unique identification (RUID) feature will mitigate the risk that an e-passport holder could be tracked. Another concern, for example, is that reading the new technology may decrease travel as new passports could take longer to verify resulting in longer lines and other disruptions. A media frenzy surrounded the summer demo at the Black Hat DEFCON security conference, when German researcher Lukas Grunwald demonstrated that the European Union e-Passport could be cloned. Hundreds of Web postings followed the incident, ruffling the feathers of privacy advocates, who used it to fuel their belief that the data is more easily intercepted than people are led to believe. But the demo was largely dismissed by the technology community. It’s true one of the most common hack attacks involves intercepting information that travels across the air via RF-enabled communication between chips and readers, but the data is protected by other security measures that make such scenarios unlikely, Mr. Vanderhoof says. If a chip was duplicated and inserted into another passport, the photo stored in the chip would not match the physical photo in the book. The person would be caught at the checkpoint. And because of the security measures used to store data in the chips, it makes it vastly more difficult to change data than to simply duplicate it. This is precisely the point of the inclusion of the new technology into the passports. In the past, counterfeit passports had no electronic checks and balances so fraudsters would insert their photo into another person’s real document to cross borders. While most agree that no security effort is foolproof, the new e-passports are light years ahead of the prior iterations in regards to security. 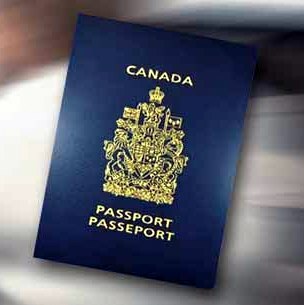 While the old passports will still be valid until their expiration, all who are obtaining a passport for the first time, or renewing their passport will be issued the new e-passport. Though a number of companies were in competition to produce the passport’s technological components, including the contactless chip, Gemalto and Infineon are providing some of the technical components, says a spokeswoman with the Bureau of Consular Affairs. “It’s an ongoing process as well,” the Consular Affairs spokeswoman said. “We expect we’ll be working with multiple suppliers in the future. For more on the Electronic Passport, including links to transcripts with federal officials, visit the Bureau of Consular Affairs’ Web site at http://travel.state.gov.